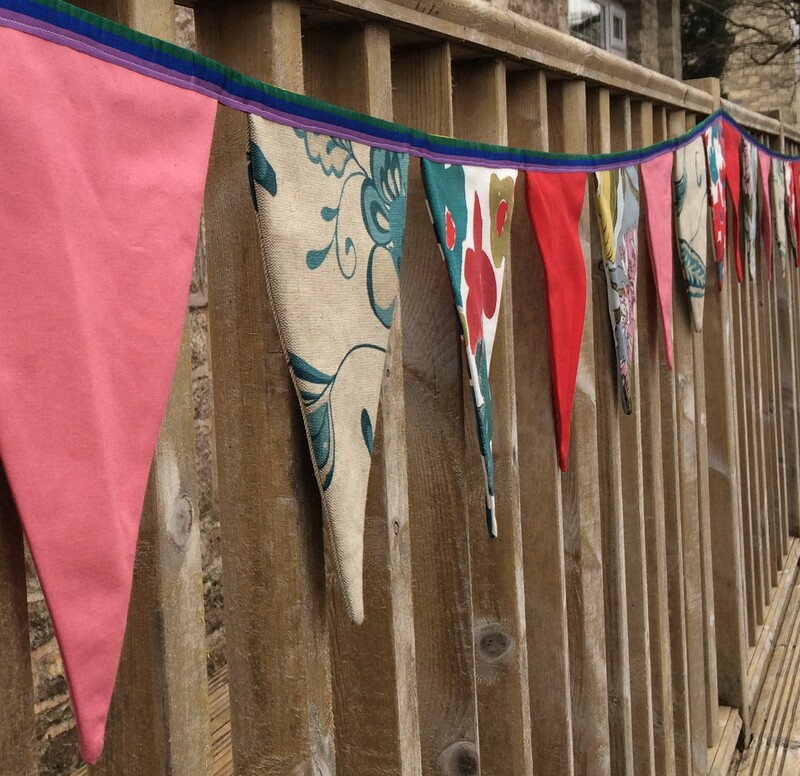 Spring’s here – bring out the bunting! Many years ago* I bought a pack of bunting with which to decorate our garden. Last year it adorned our balcony in Switzerland but, sadly, it is to be its last to bring joy to our home. Now I know what you are going to say: “get a grip woman, it was only bunting.” I know that I may be sounding a teeny tiny bit dramatic, but that bunting has been with me through A LOT. I mean that bunting has witnessed the toddler years and if something has come through that with you, well it is a very fine thing indeed. An attachment has developed. The bunting always comes out at the beginning of Spring and generally stays up until the beginning of Autumn. Our bunting has watched the children potter in the garden and it has seen the horrors of potty training. It has laughed at the antics of children in the paddling pool. It has borne witness to summer birthday celebrations, homesick tears on the balcony, and all manner of other family tribulations. If the bunting could talk, well, it would have a few tales. I have gazed upon that bunting dancing on the breeze whilst attempting to settle a screaming baby, imagining myself jumping from one flag to the next. I watched the children trying to jump high enough to catch hold of that bunting, and then kicking balls over it. Now, do you understand how the retirement of this bunting from the Life of Ryrie adventures is actually quite a big deal? When I realised that the bunting wouldn’t last another year I decided it could only be replaced by something more than just another pack bought off t’internet. The new bunting was going to be homemade and, even better, Tilly wanted to help make it. Bunting is the perfect first project for an amateur seamstress, it requires plenty of straight line sewing in short batches and gives a perfect introduction to the workings of a sewing machine. Tilly and I made a pattern from the rapidly disintegrating bunting. We calculated how many flags would be needed which, given our combined mathematical ability, was a whole project in itself. We chose fabric from my stash which includes materials from cushions and curtains, skirts, and shirts from the past 20 years of my life. Every fabric carries a memory as vivid as some of the patterns. Once preparations were complete T and I ironed and pinned and finally precision cut each flag. Then we fired up the machine and we, it feels brilliant to write this, but we sewed and sewed. I taught my daughter an actual real, bona fide skill! She can sew. I taught her to sew. Then, today, we were able to hang it, pride of place, in our new garden. Spring has definitely sprung. * actually only 6 but as that’s J’s life it counts as ‘many years’.